From trade to Nato, the EU and Turkey have enjoyed a productive relationship in many domains for decades. However, recently relations have turned frosty as concerns mount over the rule of law and the state of democracy in the country with media outlets being closed and journalists being jailed. 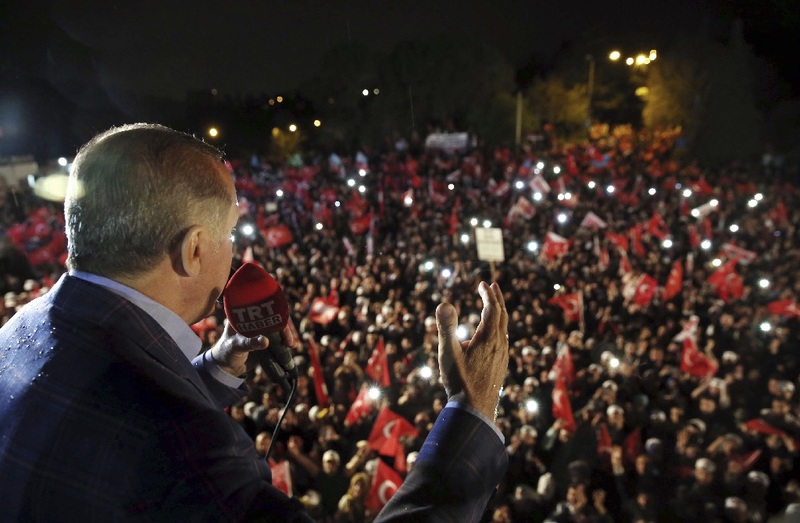 There are also concerns about Turkey’s military intervention in Syria. These developments are all the more reason for MEPs to take another look at how the EU and Turkey are working together. Read on for an overview of the state of play on various aspects of EU-Turkey relations. EU membership: suspension of accession talks? Turkey has been an associate member of the European Economic Community since 1963 and applied to join in 1987. It was recognised as a candidate for EU membership in 1999, but negotiations didn’t start until 2005. Even after that not much progress was made. Only 16 out of 35 chapters have been opened and only one closed. After The Turkish government’s crackdown following the failed coup d’état on 15 July 2016 negotiations effectively ended and no new chapters have been opened since then. In November 2016 MEPs adopted a resolution asking for the negotiations to be suspended while repression continues in Turkey. They repeated their call for suspension in a resolution adopted in July 2017 due to continuing concerns about the human rights situation. Although these resolutions are not binding, they send out an important signal. MEPs also regularly debate the situation in the country. The most recent one was held on 6 February discussed the human rights in Turkey as well as the country’s military operation in Afrin, Syria. On 8 February MEPs also adopted a resolution calling on Turkey to lift the state of emergency. Association agreement: an alternative to EU membership? The EU has the option of concluding association agreements with nearby countries, such as Iceland and Tunisia. These agreements set out a framework for close economic and political cooperation. The EU usually asks for reforms to improve the human rights situation in the country as well as make its economy more robust. In turn the country might benefit from financial or technical assistance, as well as tariff-free access for some or all products. The EU already has an association agreement with Turkey, but some MEPs see a new agreement as an alternative to EU membership. In December 2016 the European Commission proposed updating the existing customs union with Turkey and extending bilateral trade relations. Once negotiations have been completed, the agreement would still have to be approved by the Parliament before it could enter into force. The EU is by far Turkey’s largest export market (44.5%), while Turkey is the EU’s fourth largest export market (4.4%). This article was originally published on 27 April 2017 and updated on 8 February 2018.